Costa Rica led the charge long ago to define what ecotourism could really look like. As a result, some of the most popular and exciting birding destinations in the world run on Tico time. 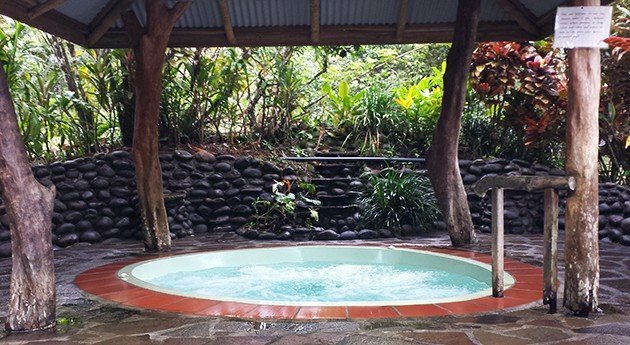 What then does it take for an ecolodge to bring something fresh and new to the current array of Costa Rican destinations? The answer at Finca Luna Nueva Lodge is to create a pure and vital ecosystem within which birders, botanists, and naturalists of every stripe can follow their bliss without sacrificing comfort. Both Corey and I had the great fortune to be invited to spend a few days at Finca Luna Nueva Lodge to explore the lodge’s avian attractions. Having visited quite a few outstanding ecolodges in my blessed life, I’ve learned that exceptional birding destinations must first and foremost harbor exceptional, accessible birds. You don’t mind spending time with Collared Aracaris, do you? 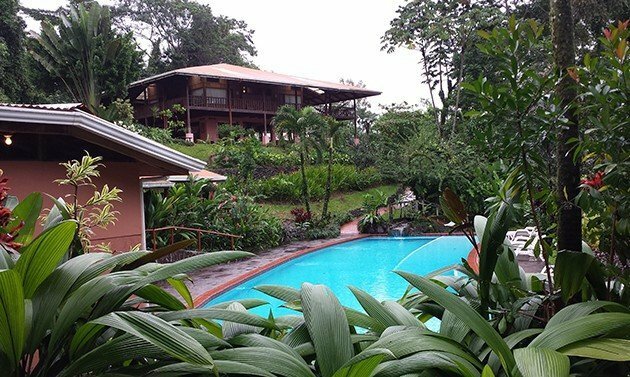 Finca Luna Nueva’s location in the Caribbean lowlands close to La Fortuna and Arenal guarantee great birding potential. However, the owners’ collective commitment to certified organic biodynamic agriculture not only produces incredibly fresh and delicious ingredients for the kitchen but ensures that birds will find the property irresistable. Unbroken corridors connecting Finca Luna Nueva to outstanding habitat like the 50,000 acre Children’s Eternal Rainforest also help attract rare deep forest species like White-fronted Nunbird. 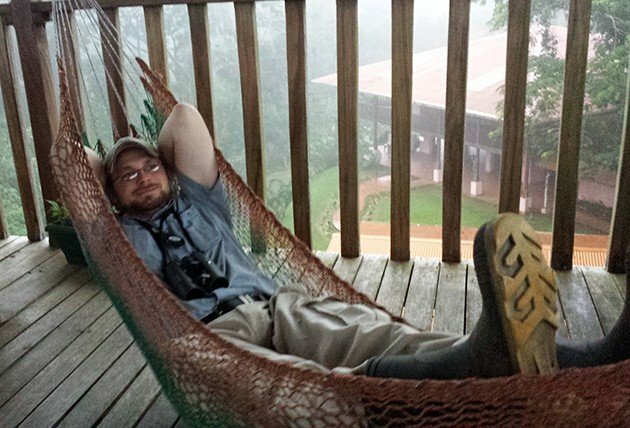 Corey and I put the lodge’s birdiness to the test as members of the team covering Finca Luna Nueva for the 2014 Arenal Bird Count. That experience along with additional opportunities to explore the property with guide Ismael Torres established what we expected all along: Finca Luna Nueva is very birdy with a reserve list of over 240 species. In fact, over just two days on the property, we saw 114 stellar species (including a ton of wood-warblers) and heard a lot more. 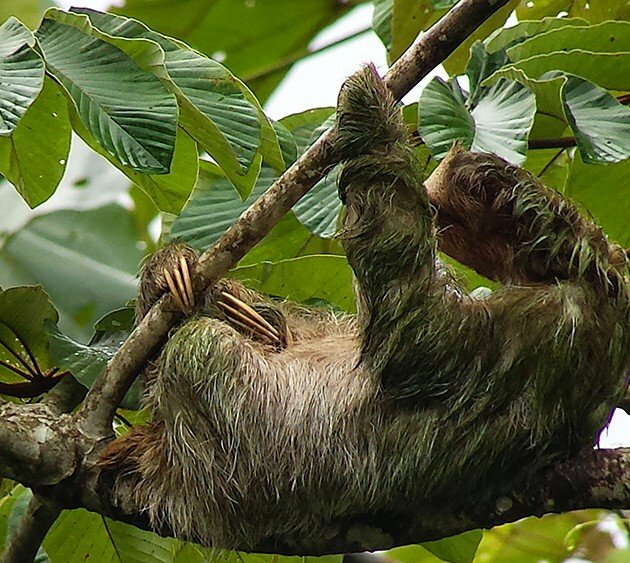 Yes, there are sloths. Iguanas too! Looking for quality over quantity? If Great Currasow interests you (and I can’t image why it wouldn’t), you’re almost certain to encounter some on the deep rainforest Cabalonga Trail. 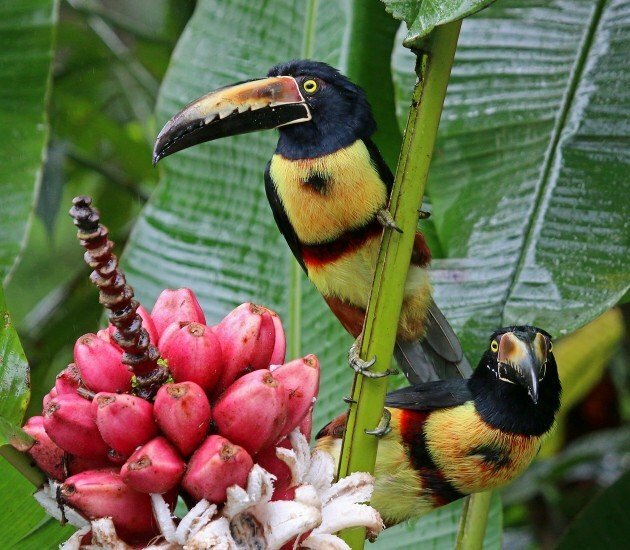 Want tropical stunners like toucans, trogons, parrots, and motmots? You’ll find multiple species of each on the property. Are there hummingbirds? Obviously, and if you appreciate a lodge that eschews feeders for carefully considered plantings, you’ll love this place as much as the Scaly-breasted Hummingbirds and Purple-crowned Fairies do. An irreplaceable asset in an ecosystem so very accurately described as very humid rainforest is a 50-foot hardwood canopy tower with a roof. As the inevitable rain starts to pour, you can enjoy the local avifauna from a great height in dry splendor. 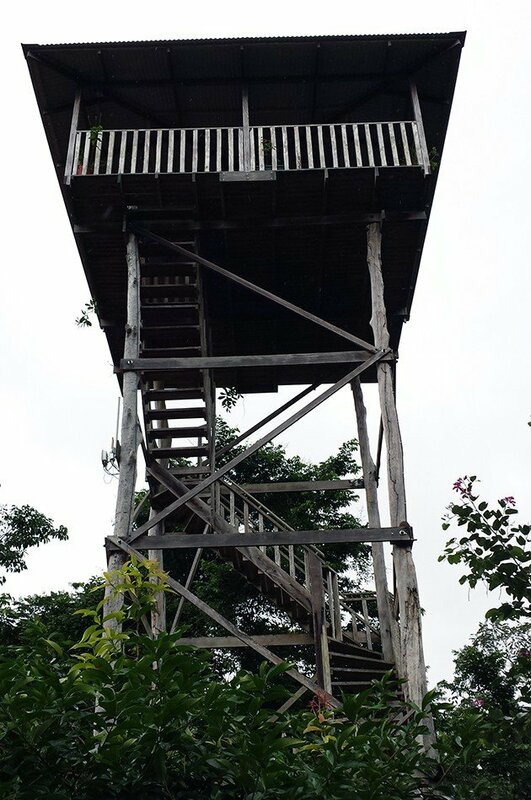 Considering how wet December is in the Caribbean lowlands, we spent quite a bit of time in the tower, enjoying long, meaningful looks at stunners like Long-tailed Tyrant, Red-throated Ant-Tanager, White-collared Manakin, and an extremely rare-for-the-area Magnificent Frigatebird. And as an added bonus, as if more were needed, the tower has a hammock! You don’t need to dive into the rainforest or climb a tower to enjoy birds at Finca Luna Nueva. The bird show that occurs aroud the dining area competes in quality with the remarkable food. I love a typical Costa Rican plate of rice, beans, plantains, salad, and protein, otherwise known as a casado, with the added allure of pesticide-free ingredients grown right on the farm. But I also love Gray-necked Wood-rails. Fortunately, I never had to choose as a pair of rails loved to roam right out in the open. Other regular and conspicuous species around the dining area include Grayish Saltator, White-tipped Dove, Bananaquit, both Red-legged and Green Honeycreepers, and Passerini’s, Blue-gray, Palm, and Crimson-collared Tanagers. During the winter months, you’ll probably also meet Paquito, the bold Summer Tanager who returns to Finca Luna Nueva every year to unabashedly raid condiments. Finca Luna Nueva offers more than just great birding. The higher purpose of the lodge attracts visitors interested in biodynamic farming. One of the most interesting offerings is a chocolate tour in which Ismael leads participants through every aspect of chocolate production, starting with beans cultivated on the premises and ending with a confection that Ismael makes himself. Considering how decadently delicious the chocolate drink served at the kitchen is, I regret missing this popular tour. While the rooms are not opulently appointed, the lodge promises much to pleasure seekers, including massages, rainforest yoga sessions, a freshwater swimming pool, and a hot tub. Whatever you can’t find on site will surely be located nearby, as Finca Luna Nueva is located close to many other worthy attractions and destinations. 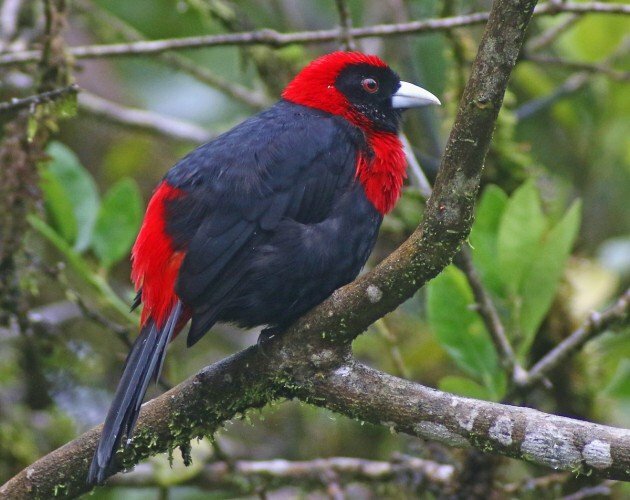 If you’re looking for exciting Costa Rican birding at a serene and special ecolodge that has much more than birds to offer, you’ll enjoy Finca Luna Nueva Lodge. 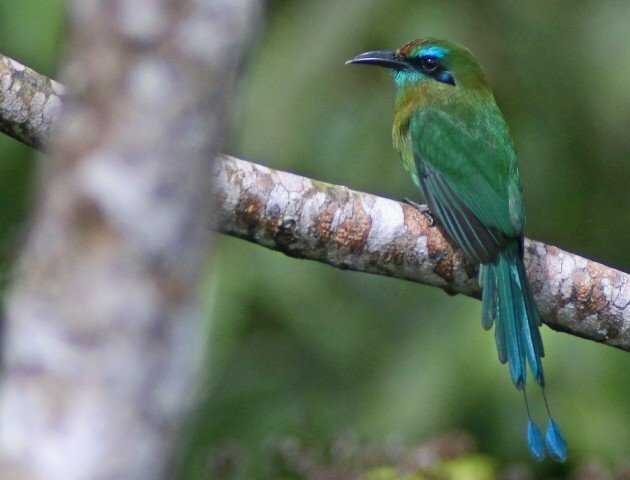 The constellation of Costa Rica birding attractions has added another shining star. That about sums it up for Finca Luna Nueva! Would love to see more birders visiting this rare example of organic farm/ecotourism lodge. The difference in numbers and species of birds and other wildlife compared to many other sites is obvious and the place has a lot of potential.